Start your career as head of the team of your choice, be they rookies or legends, and lead your players to victory! For this, you must not only recruit and train your players, but you must also take part in live games, giving on-court instructions. You must also ensure successful day-to-day operations by managing club finances or by improving your stadium.All global competitions have been faithfully transcribed: the North American league, European Championships, and even the World Cup. Rosters for the 2016/2017 season with more than 70 competitions and 20,000 players worldwide! More realistic recruiting: player and team recruiting AI has been completely redesigned in order to generate more realistic behavior. An overhaul of scout reports and player notations: your scouts now provide a comprehensive review of each player to help you with your recruiting. Graphical improvements to 2D and 3D games for greater on-court immersion. Integration of the Steam Workshop allowing players to share their databases and to customize the game! TAKE CONTROL OF ONE OF THE 1,000 PLAYABLE TEAMS! In Pro Basketball Manager 2017, you can choose to start your career at the head of a well known team such as Los Angeles or New York, but you can also choose to coach a college team or, indeed, a team from anywhere in the world. The choice is yours! In addition to training your own club you can wear two hats at the same time and train a national team! MORE THAN 70 WORLD COMPETITIONS IN WHICH TO TAKE PART! From the US college championships to the renowned national American league, through the European leagues, but also African, or Asian, numerous competitions are playable in Pro Basketball Manager 2017. In addition to the national competitions available to your club you can also compete in international competitions! EACH LEAGUE HAS ITS OWN RULES Each league has its own rules and these have been faithfully reproduced in Pro Basketball Manager 2017. Your bosses fix your seasonal goals, which you can even set higher! The recruitment process applied to your team will differ completely according to the league in which you play. If you run a non-professional team, in which the players are not paid, you must convince players to join your side by showing real interest in them. Whereas in the North American league, you will have to handle all the complexity of contracts, exceptions to avoid paying the luxury tax, not to mention trades or the draft. Finally, in the other leagues you will have to manage the buying of players, loans or free agents, taking care not to exceed the payroll allocated to your team for the season. SCOUTING, TRAINING, FINANCES ... NUMEROUS PARAMETERS TO MANAGE YOUR TEAM Send your scouts to check out players around the world through an in-depth scouting system. Train your players collectively, but also individually in order to get the best results. Improve your club's finances by improving your arena... many possibilities are open to you to make your club the most famous on the planet! 2D AND 3D MATCHES IN WHICH YOU CAN GET INVOLVED Once your team is prepared, you can attack the season and play all matches live! You can choose to watch the matches in 2D or 3D; check the condition of each of your players; make substitutions and even adjust your strategy at any time during the match. You are, thus, able to change your defense or offense tactics, and also to change the next play that will be made by your players! YOUR OWN ON-COURT PLAYBOOK! 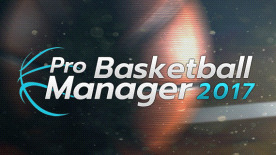 Pro Basketball Manager 2016 allows you to greatly deepen your experience as a coach by letting you create your own plays, which you can then use live during matches. Set your imagination free, it's you the play master! If you are taking your first steps as a manager, you can also get help from an assistant who will handle the most complex tasks for you. NUMEROUS INTERACTIONS BETWEEN PLAYERS AND COACH Each player has his own personality and his own affinities with such and such a player or club. This will influence his desires and his mood and, as manager, you must find a happy medium. THOUSANDS OF STATISTICS AT YOUR DISPOSAL! Be it individual players or teams, you have a whole range of statistics at your finger tips that allow you to manage your progress. You can thus check on the mental or physical state of your players, evaluate your own career, or even look back through the archives on each match, both for your team or another. A comparison tool even allows you to instantly compare two players. A CUSTOMIZABLE INTERFACE The game interface reflects your team and adopts its colors! You can also customize your coach profile: name, age, nationality, image, etc. COMPARE YOUR RESULTS WITH THE COMMUNITY Check out your stats, such as your total number of victories or the list of your achievements. And thanks to an online ladder, discover how you are ranked against other Pro Basketball Manager 2017 players. MAKE CHANGES TO THE GAME VIA THE DATABASE EDITOR AND SHARE IT WITH THE COMMUNITY THROUGH THE STEAM WORKSHOP! Pro Basketball Manager 2017 includes a database editor that allows you to change the names of teams and players throughout the game, letting you create your own universe. With the Steam Workshop, you can also download the databases of other players from around the world and use them for your own matches.